3 km from one of the best dive sites in the world, you will find a gem called Villa Villion. 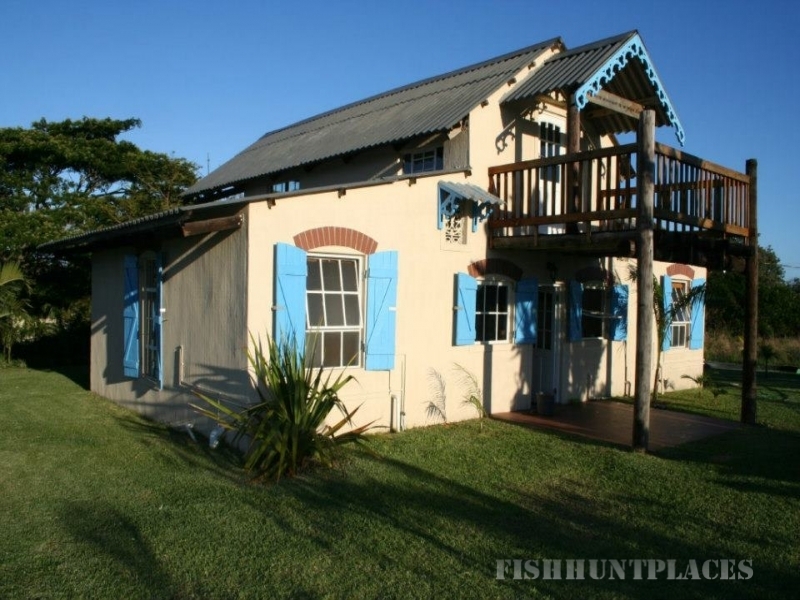 Villa Villion is a self catering villa in the rural French style, designed and decorated by the owners, Dr and mrs Viljoen, with a sophisticated yet relaxed atmosphere. The sitting room with its high ceilings and plenty of glass creates a peaceful ambience as circadian light plays change throughout the day. The open plan kitchen is well equipped, featuring a gas hob as well as plenty of ceramic surface to give freedom to your culinary dreams; enjoy your meal on the weathered oregon~pine table with its metal insignia inlays. Nomusa~ the domestic angel~ will make sure the house is serviced daily. Two bedrooms with two en~suite bathrooms and a mezzanine comfortably sleep six. The mezzanine opens onto an upstairs deck for a commanding view on the surrounds. Leading through large sliding doors, the living space spills onto the oversized verandah where the prevailing north~east sea breeze, the lush garden and the distant roar of breakers is sure to lull you into that idyllic summer~forever feeling. Breathe deep, stretch out, relax in luxury. This is the kind of place where love and laughter is woven into the fibre that holiday dreams are made of. 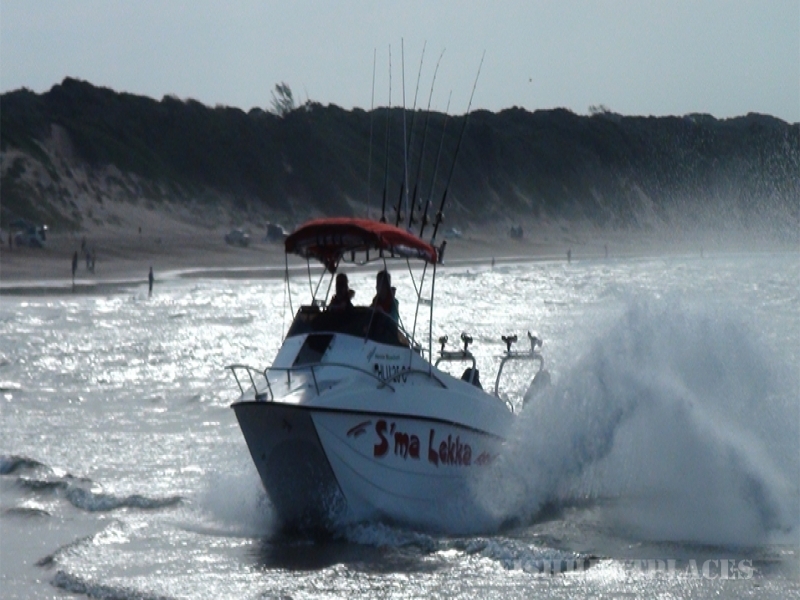 Sodwana Bay is known for its underwater paradise ~ dive it, or snorkel in the shallows; enjoy chartered game fishing; go turtle ~ or whale watching; visit no less than five premier game reserves within an eighty kilometer radius, explore the uncharted wilderness around South Africa’s biggest natural freshwater lake, that is lake Sibayi. Up for a thrill? 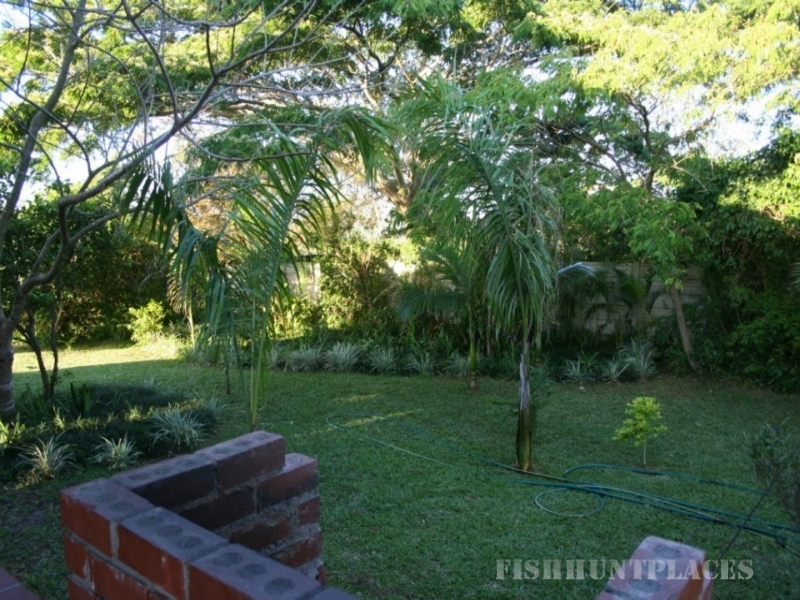 ~ try out the microlight flips, go on a quadbike adventure, paddle on the Muzi pans, or try your hand at spear fishing. Why not try out the stretch of 80 km dune forest in your 4x4, with its secluded beaches dotted along the coast all the way up to Kosibay? Or hop 5km across the Mozambican border for a day with a difference in Ponta do Oura. Feeling less adventurous? Why not visit the local delights like the craft markets, health spa and dive museum? Needless to say ~ a laze on the beach with its tropical waters is always beckoning! Nightlife: Holiday season turns this sleepy little village into a hive of activity ~ depending on your taste you’re sure to find a spot that caters for your needs. Whether it be a romantic dinner at the Light House restaurant or a boisterous bash at one of the local clubs. Health: Sodwana is considered a medium~risk malaria area (but Mozambiques’ cooperation since 2000 has brought the incidence down dramatically). Nonetheless all the beds in the villa are fitted with mosquito nets. The closest hospital is 35 km away.